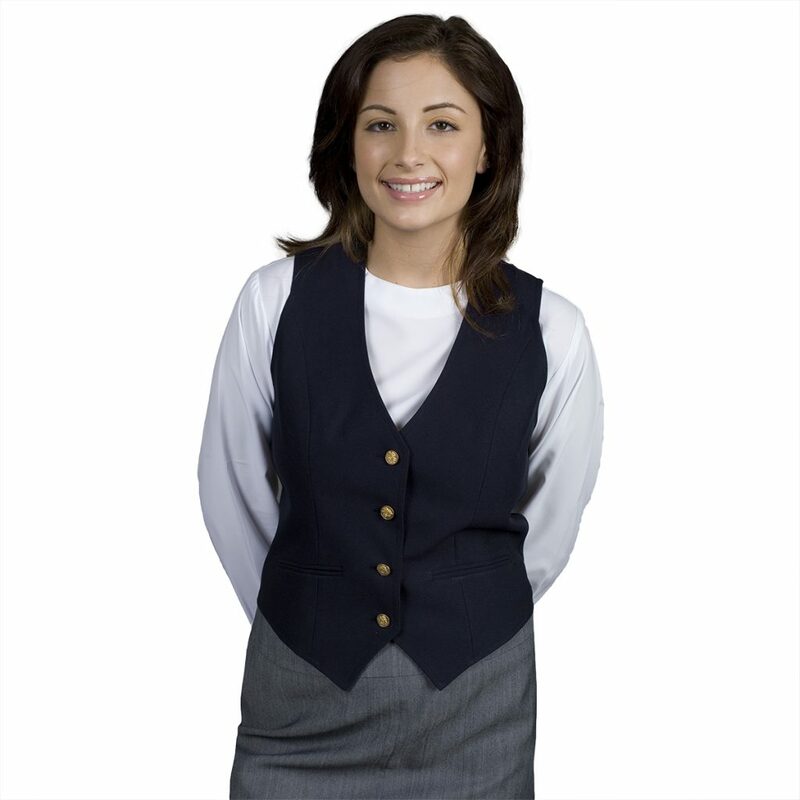 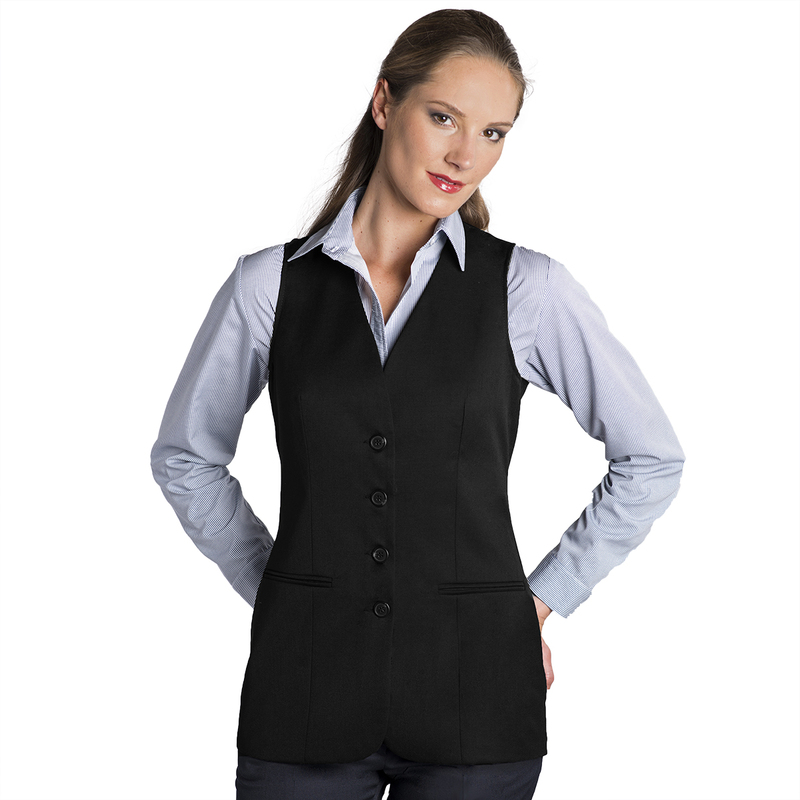 Our Women’s V-Neck Vest is made from our signature UltraLux fabric, a fine washable 100% polyester. 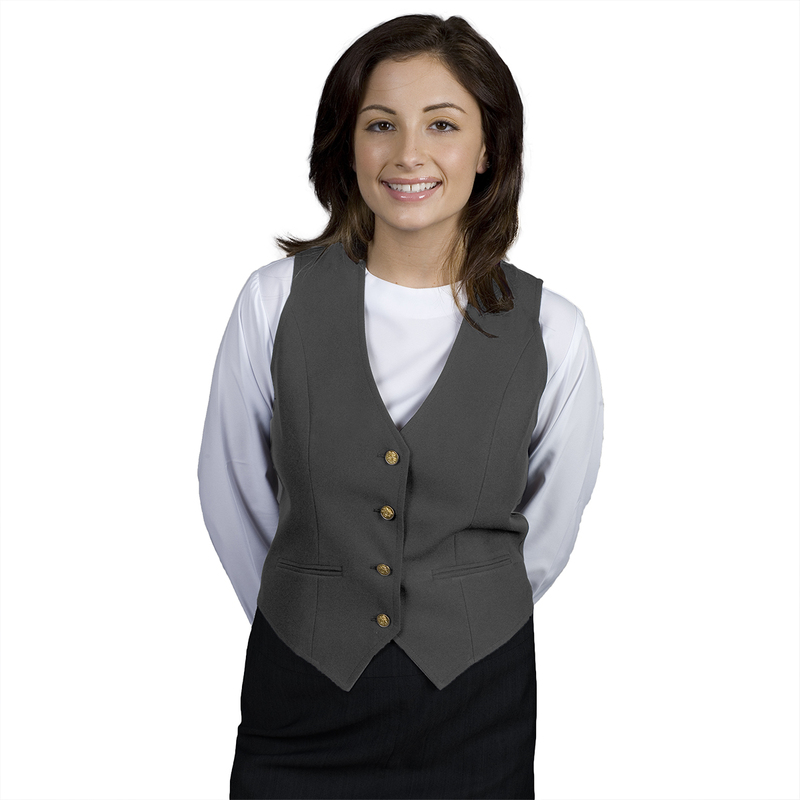 It features 2 front besom pockets, 4 simulated brass buttons, is fully lined and has a fitted silhouette. 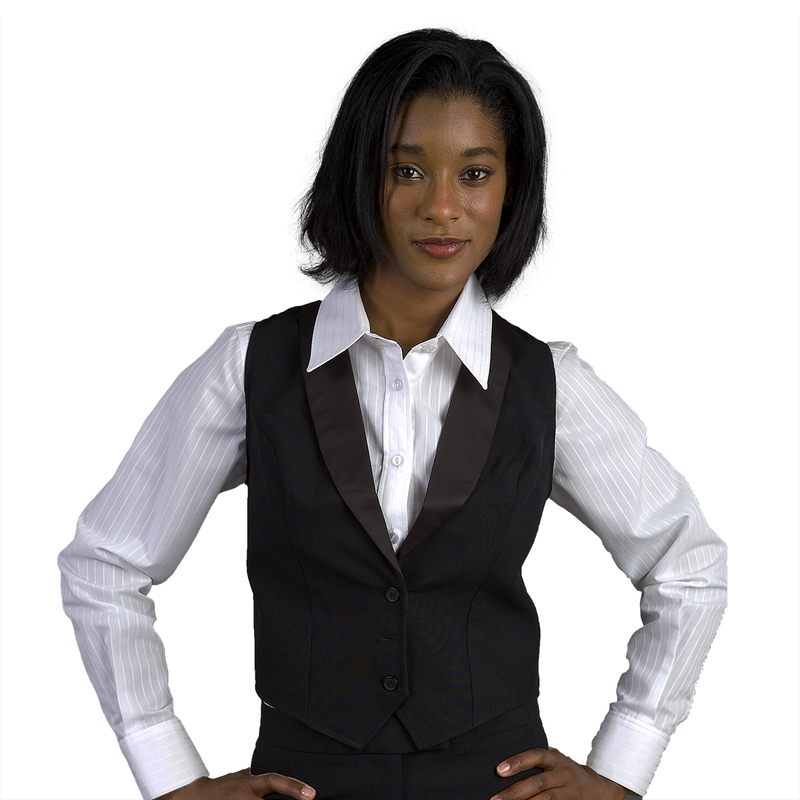 Available in black, burgundy, gray and navy.